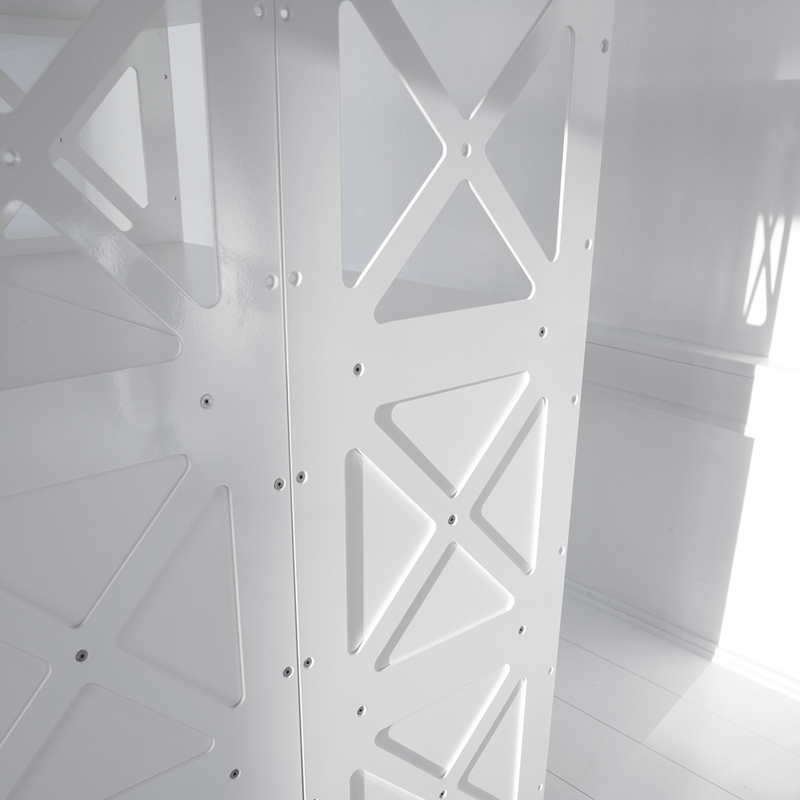 The well-known designer, Henrik Tengler, who Onecollection has worked with for almost 17 years, has developed a new revolutionary storage system equally suited to business and private life. 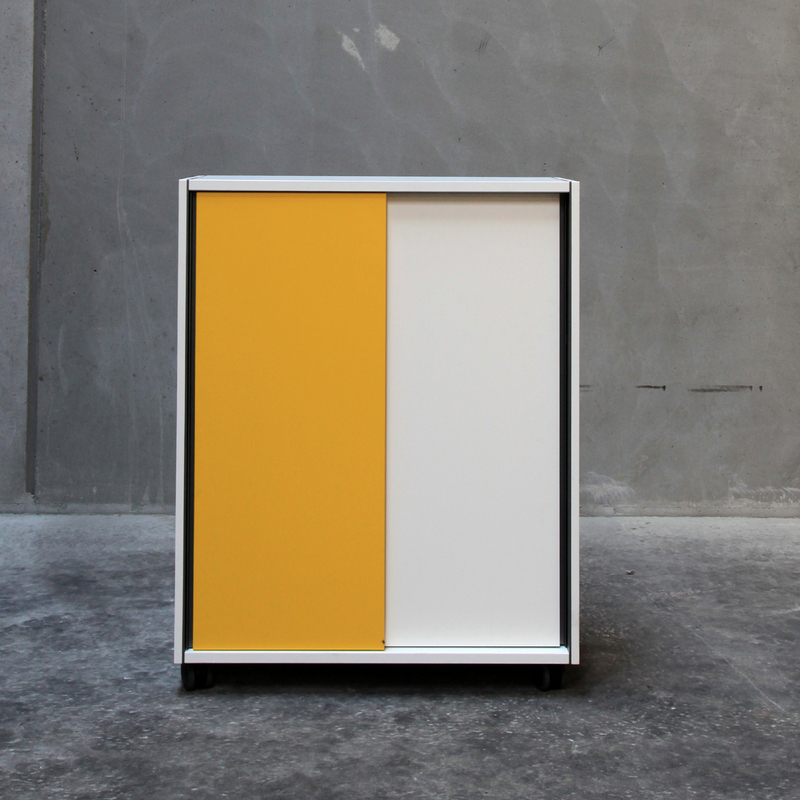 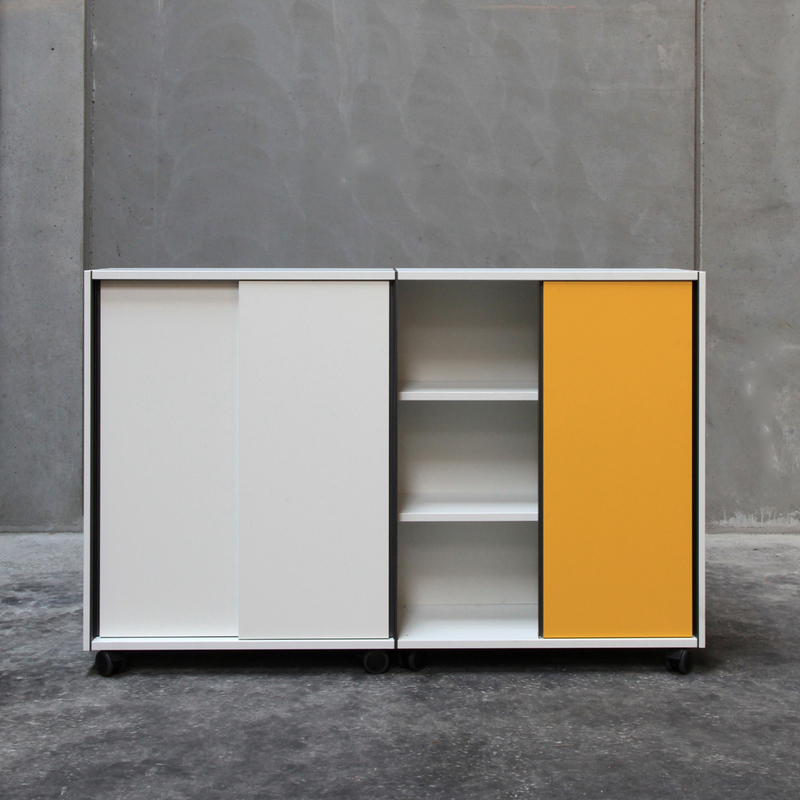 This system consists of very few components which can be freely put together, combined, separated and stored as completely flat units. 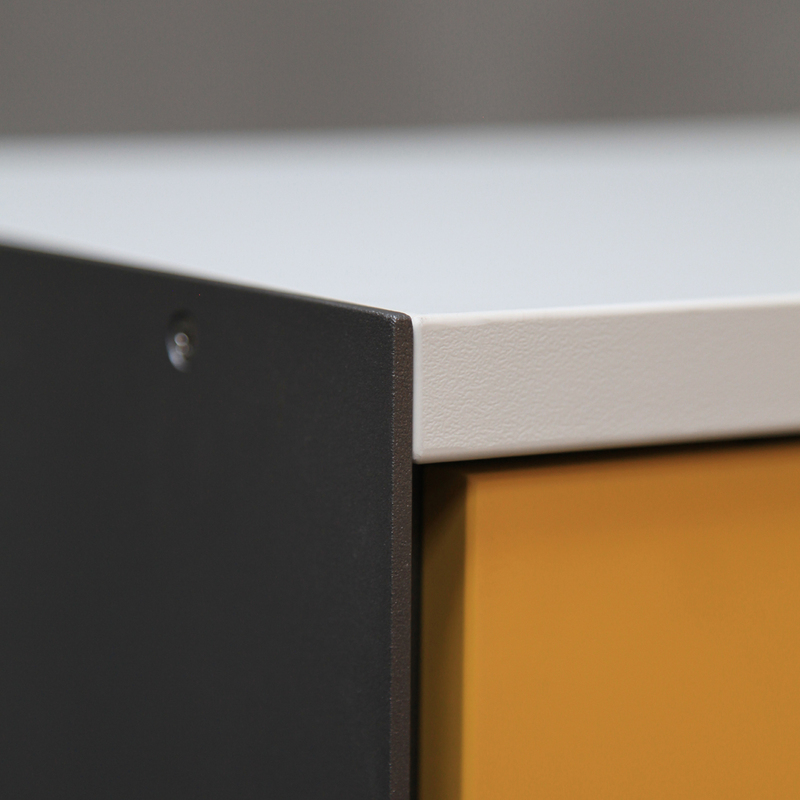 The sides are in 4 mm laser cut steel supplied in graphite grey or bright white. 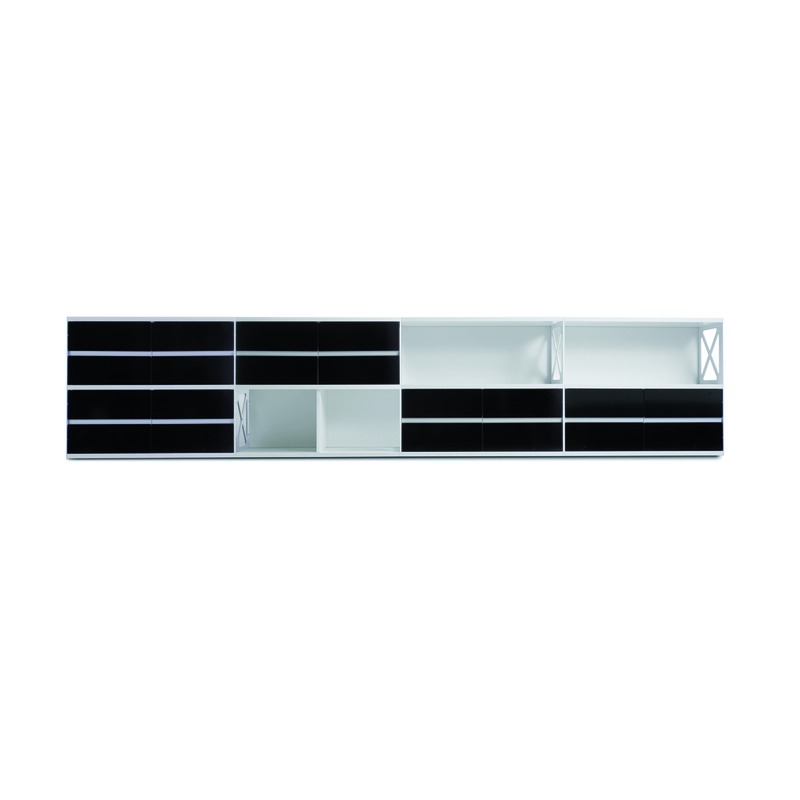 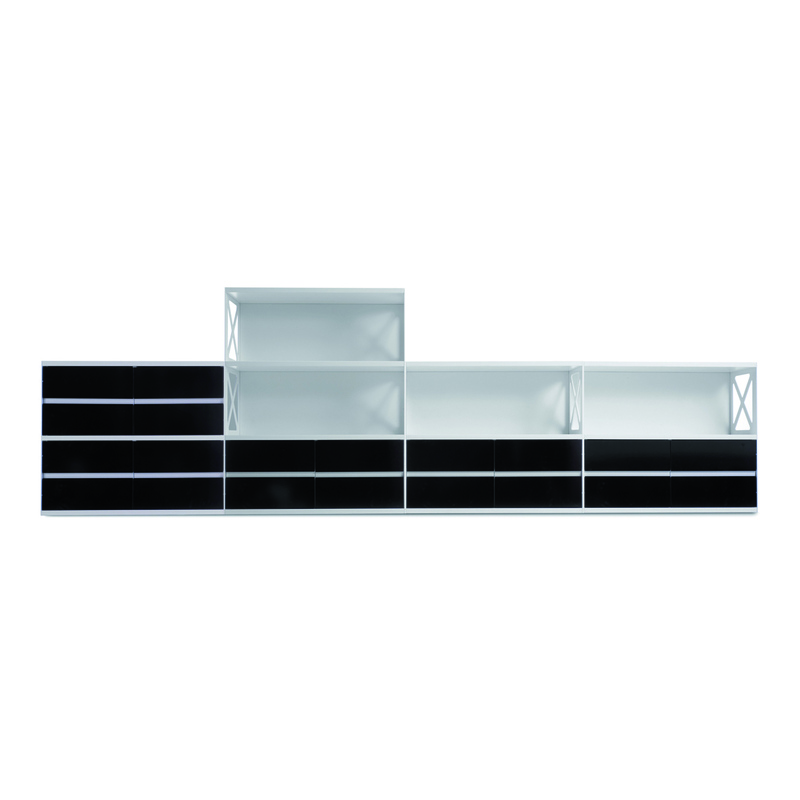 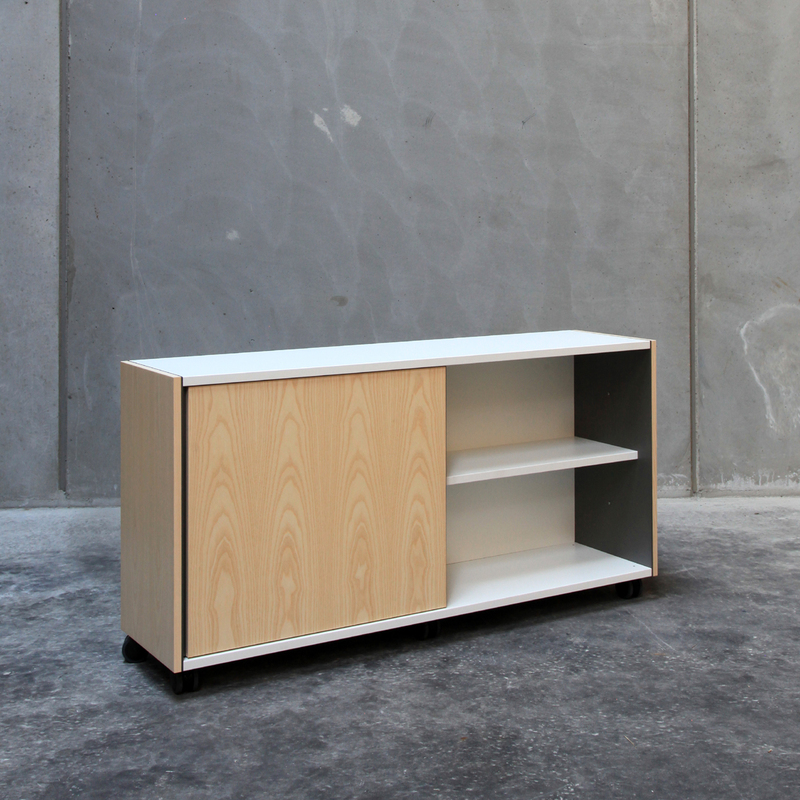 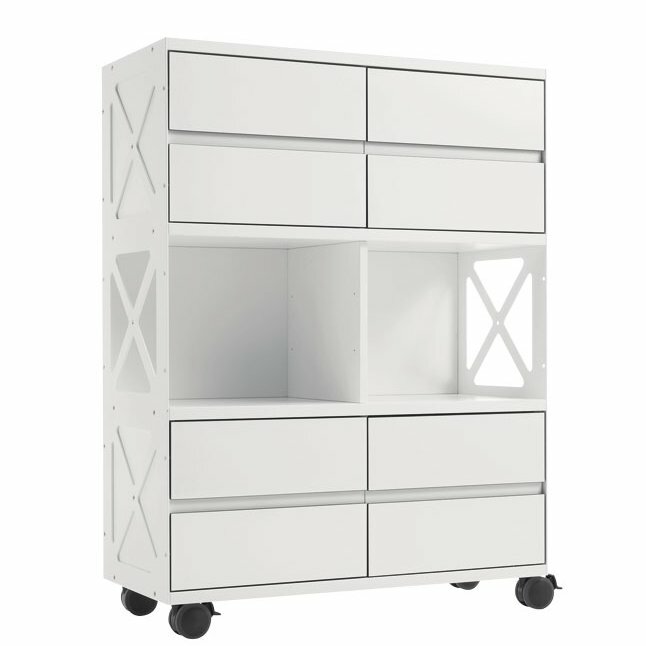 The shelves, the back-up lining and the partitions come in black or white melamine with ABS edges. 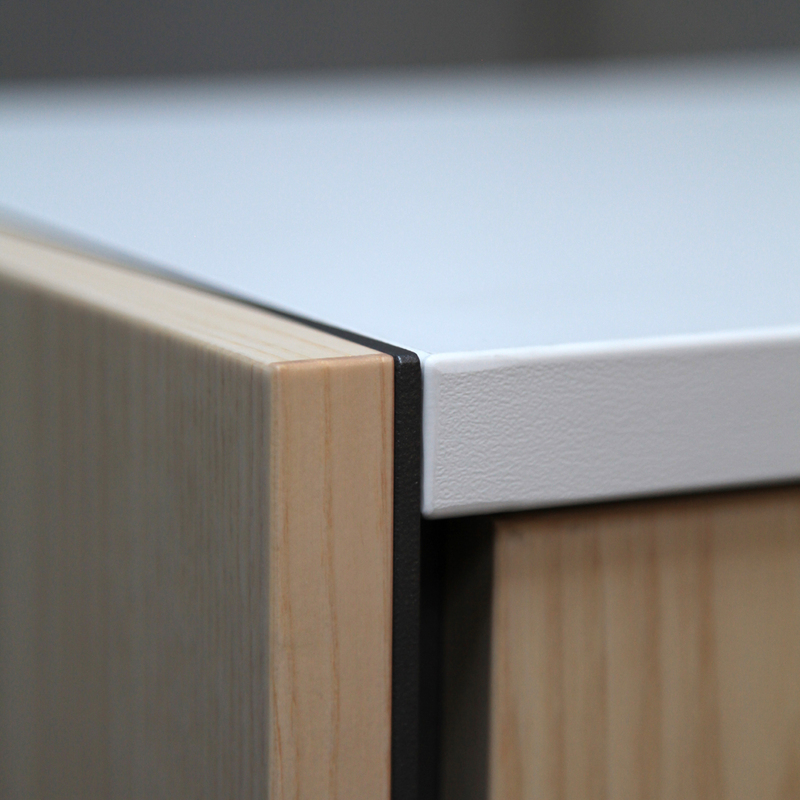 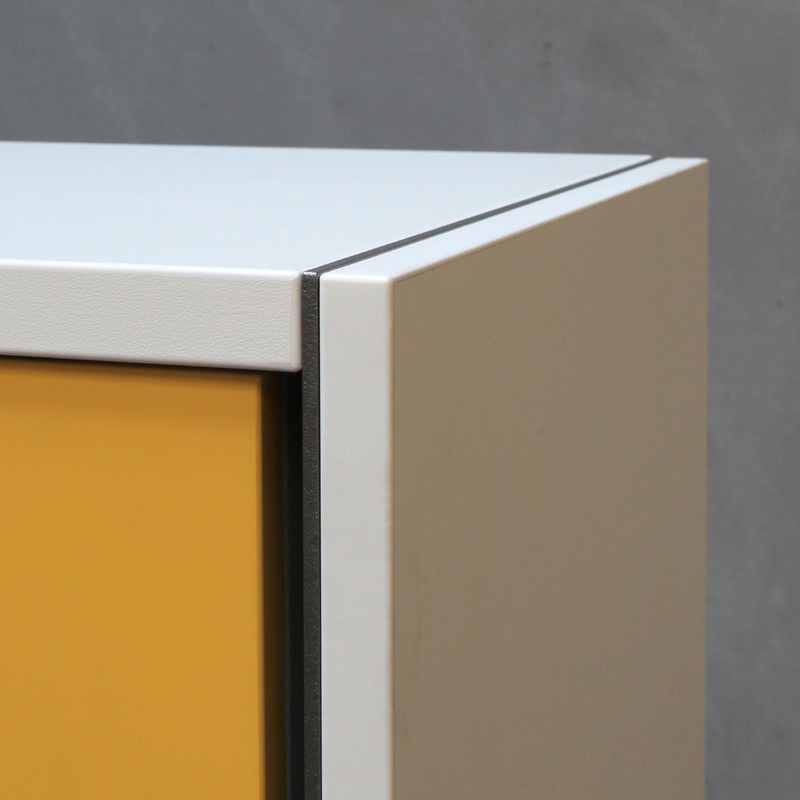 Fronts for doors, drawers and suspension files are in high lustre laminate or veneer. 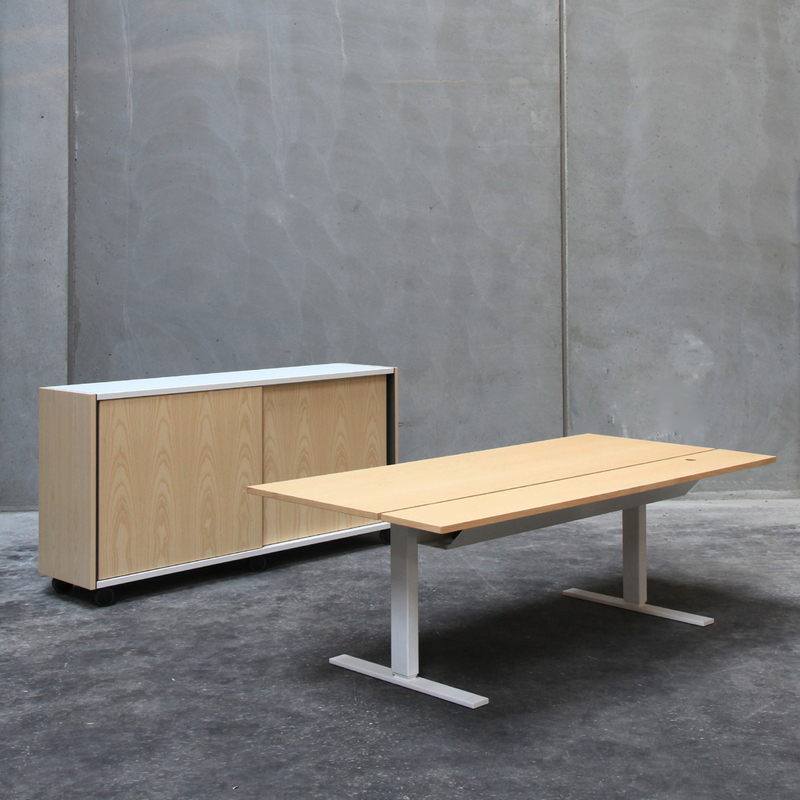 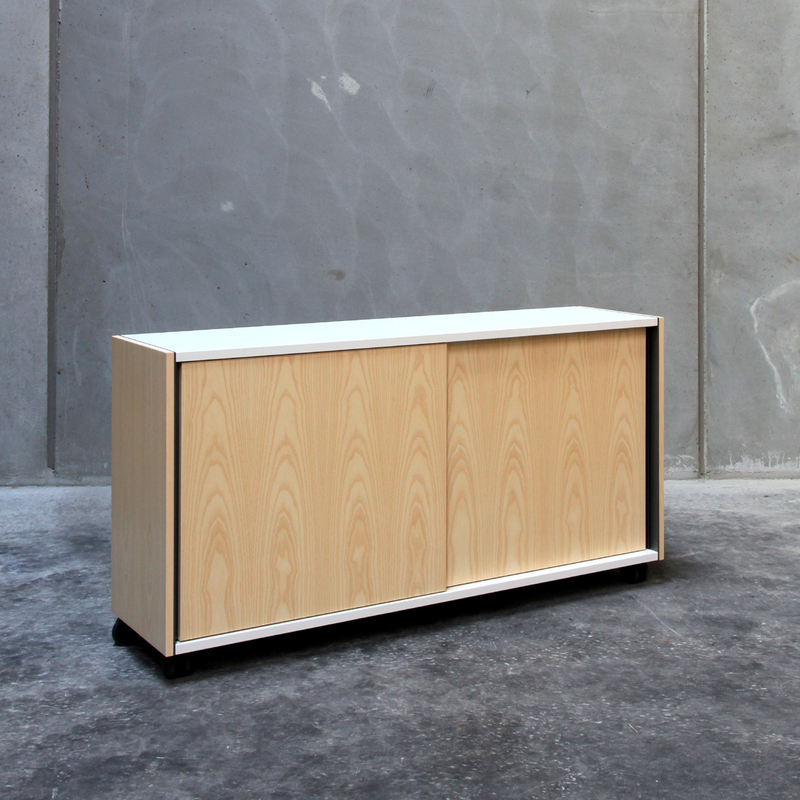 A new simple work table series with the same name has been designed for the system to match the storage system with its material and shape.